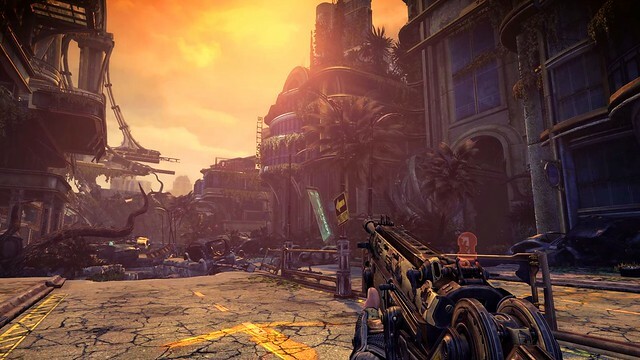 You might be familiar with Bulletstorm, or you might be hearing about the game for the first time today. No matter if you’re diehard fan or if you’re new to the series, Bulletstorm: Full Clip Edition has something for you! The game follows the story of Grayson Hunt, a professional assassin who’s been exiled from the elite group Dead Echo. Grayson’s been betrayed by his commander, General Serrano, and finds himself stranded on the planet Stygia — which was once a popular resort destination but is now overrun by mutants, irradiated plant life, cannibals, and things even worse than that (Really, even worse than cannibals). Grayson now has to decide — get himself and his crew off the planet alive, or confront the general who betrayed him. As we were developing Bulletstorm: Full Clip Edition, we wanted to provide the ultimate Bulletstorm experience for fans. And we feel that we delivered on that, as this game has it all! You’ll get to experience Bulletstorm and all of the DLC released for the game in one package, along with improvements that weren’t possible until now with PS4. There’s also six new Echo Maps, where you can showcase your skills in the score-based Echo Mode. 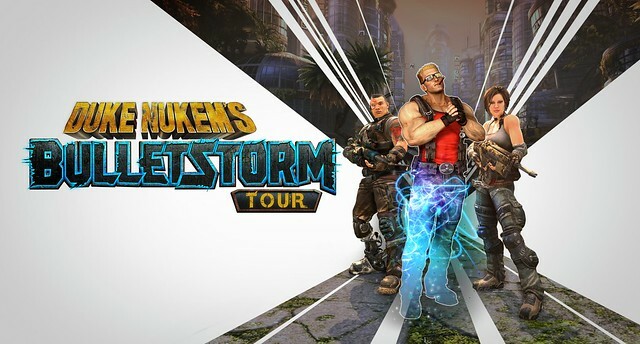 And last but definitely not least, fans who pre-order Bulletstorm: Full Clip Edition will get free access to the Duke Nukem’s Bulletstorm Tour DLC, which gives you the option to swap out Grayson Hunt with the iconic Duke Nukem! You heard right, we’ve got the voice of Duke himself, Jon St. John, in the game with a re-recorded script and all new lines, along with a hi-def rendered version of Duke Nukem. If you’ve ever wanted to play as Duke Nukem in HD on your PS4, this is your chance! At People Can Fly, we love the Bulletstorm franchise. That’s why we’re happy to be working with Gearbox Publishing, who love the series just like we do. And with the similarities between our companies in how we develop first-person shooters with a focus on humor and unforgettable experiences, we feel that this is a partnership that is great for the game and its fans.